Coverage for opioid exposures remains relatively untested, with existing case law increasing the uncertainty. Litigation related to to the opioid crisis is on the rise, and now corporate shareholders are entering the fray. In recent months, shareholders have brought a number of lawsuits against directors and officers of opioid manufacturers and distributors, as well as the companies themselves. These shareholder suits open a new front in opioid litigation and join dozens of already pending cases brought by states, counties and municipalities against manufacturers, distributors and, most recently, pharmacy benefit managers. Collectively, this litigation – along with the increased public focus on the opioid crisis – has been hugely influential. In early 2018, Purdue Pharma, the maker of the prescription opioid OxyContin, announced that it will stop marketing its painkillers to doctors – a move that entails eliminating half of its sales force. As opioid litigation expands in new directions and subjects companies and their executives to financial risk and expense, affected policyholders should review their insurance coverage and, if necessary, shore up their protection. In 2012, West Virginia, one of the states hardest hit by the opioid epidemic, sued certain opioid distributors, alleging consumer protection law violations that the state spent hundreds of millions of dollars to mitigate. Since then, states, counties and municipalities have brought a growing wave of lawsuits that seek to recover the steep costs of responding to the opioid crisis from manufacturers and distributors. The allegations range from non-compliance with consumer protection statutes, to violation of the False Claims Act, to varying forms of negligence. Manufacturers and distributors have understandably called on their general liability insurance carriers to share the burden of defending these suits. But some insurers have pushed back, and opioid-related insurance coverage disputes have begun to wend their way through the courts. Unfortunately, these lawsuits have brought little clarity to opioid coverage issues. Quite the opposite: Two courts have already reached fundamentally inconsistent results, notwithstanding their examination of identical policy language in the context of the same West Virginia opioid litigation.Litigation related to the opioid crisis is on the rise, and now corporate shareholders are entering the fray. In recent months, shareholders have brought a number of lawsuits against directors and officers of opioid manufacturers and distributors, as well as the companies themselves. These shareholder suits open a new front in opioid litigation and join dozens of already pending cases brought by states, counties and municipalities against manufacturers, distributors and, most recently, pharmacy benefit managers. Collectively, this litigation – along with the increased public focus on the opioid crisis – has been hugely influential. In early 2018, Purdue Pharma, the maker of the prescription opioid OxyContin, announced that it will stop marketing its painkillers to doctors – a move that entails eliminating half of its sales force. As opioid litigation expands in new directions and subjects companies and their executives to financial risk and expense, affected policyholders should review their insurance coverage and, if necessary, shore up their protection. Cincinnati Insurance asserted that West Virginia’s losses were solely economic and therefore could not be considered damages “because of bodily injury.” The Western District of Kentucky agreed, absolving the insurer of any duty to defend the lawsuit. Applying Kentucky law, it reasoned that West Virginia could prove its consumer protection and public nuisance causes of action against Richie without proving that bodily injury had actually occurred. Any bodily injury merely “explain[ed]” and “support[ed]” the state’s resulting economic losses. Almost exactly two years later, the court in Cincinnati Ins. Co. v. H.D. Smith, L.L.C. faced the same question under Illinois law and reached the opposite conclusion. There, a different defendant in the West Virginia suit, H.D. Smith, had purchased a policy that covered it, in relevant part, for lawsuits seeking damages “because of bodily injury.” H.D. Smith demanded that its insurer – again, Cincinnati Insurance – step in and cover its costs of defending the West Virginia litigation. As it had with Richie Enterprises, Cincinnati Insurance refused. Cincinnati Insurance relied on the distinction the Richie court had embraced – that West Virginia sought to recover its own economic damages, not damages on behalf of its injured citizens. Unmoved, the Seventh Circuit responded: “But, so what?” It likened West Virginia’s economic damages to those of a parent who sought to recover money spent caring for an injured child. In each case, the healthcare expenditures constituted economic damages that arose “because of bodily injury,” and therefore fell within the policy’s coverage. This required Cincinnati Insurance to defend the lawsuit. Richie and H.D. Smith hold significance as some of the courts’ only guidance thus far on emerging opioid insurance coverage issues. But neither will be the final word on opioid lawsuits and “bodily injury” under commercial general liability policies. That is because each case addressed only the insurer’s duty to defend West Virginia’s lawsuit, and an insurance carrier’s defense obligation is universally broader than its corollary duty to indemnify. Consequently, even insurers that are required to defend opioid-related lawsuits will undoubtedly seek to avoid their subsequent duty to indemnify any damages ultimately assessed against their policyholder. 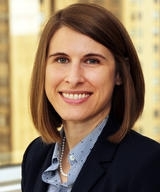 With coverage for opioid exposures under general liability policies remaining relatively untested, and the existing case law increasing rather than alleviating the uncertainty, the recent spate of securities suits is certain to present new issues under a different set of insurance contracts – directors and officers (D&O) policies. Some of the recent suits allege that officers and directors of opioid distributors failed to monitor the size and frequency of shipments and report aberrations to the U.S. Drug Enforcement Administration, resulting in civil fines or other liabilities. Other suits claim that the defendant companies, and certain officers and directors, made materially false public statements regarding the companies’ opioid practices, resulting in drops in share price when misstatements were corrected or drugs were withdrawn from the market in response to FDA pressure. D&O policies are intended to protect directors, officers and often companies against such allegations of wrongful conduct, including claims grounded in breach of duties, neglect, error, misstatements, misleading statements and other omissions or acts. In the opioid context, insurers may attempt to escape their coverage obligations by relying on bodily injury exclusions that are common in D&O policies and have the opposite effect of the coverage provisions construed in Richie and H.D. Smith – that is, in the D&O context, certain bodily injury exclusions may eliminate coverage for loss arising from opioid-related claims. This creates the risk that an unwitting policyholder could inadvertently – and unnecessarily – press its claim under one line of coverage, such as commercial general liability, in a way that casts doubt on its rights under another line of coverage, such as D&O. • Conduct exclusions, which may preclude coverage for loss relating to certain types of conduct, such as fraudulent or criminal misconduct, or illegal profits or remuneration. Fortunately, proactive policyholders can place conditions on this exclusion so that it is triggered only when the conduct in question has been “adjudicated” by the court in the context of the underlying claim. • Imputation of knowledge provisions, which address when one director’s or officer’s conduct – such as excluded fraudulent conduct – may be attributed to another director or officer, or to the insured entity. • Related claims/interrelated wrongful acts provisions, which may treat certain “related” or “inter-related” acts or events as a single claim. Insurers frequently cite these provisions in an effort to push claims out of their policy period, reduce the available limits or dispute the policyholder’s timely notice. Although many D&O policies contain provisions falling under the broad umbrellas identified above, even small differences in policy language can be critical. And the uncertainty is exacerbated by the fact that there is no federal body of insurance law. Instead, coverage disputes are adjudicated on a state-by-state basis. For that reason – and as the disparate outcomes in Richie and H.D. Smith demonstrate – choice of law and forum can have significant and dispositive effects on any given claim. The insurance industry already has its lawyers hard at work crafting policy language and interpretations they hope will limit insurers’ responsibility for opioid liabilities. Corporate policyholders must likewise take immediate action. Any entities or individuals that may face an opioid-related suit should promptly review their policies – including but not limited to D&O – to understand the coverage they have, and take steps to secure the coverage they need. Competent coverage counsel can undertake a privileged and confidential review of an insurance program’s coverage and facilitate underwriting discussions with brokers and insurers to improve the policies. Now is the time to act. Once opioid litigation comes for corporate officers and directors, it will be too late to insure against it. 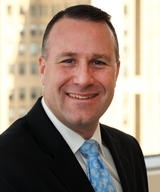 Christopher C. Loeber is a partner in the Insurance Coverage practice group at McCarter & English’s Newark, New Jersey, office. He has a national practice representing Fortune 500 and other large corporate policyholders in a broad range of complex insurance disputes across diverse industries. Reach him at cloeber@mccarter.com. Jennifer O. Farina is an associate in McCarter & English’s Insurance Coverage practice group in Newark, New Jersey. She advises and represents insurance policyholders across the country seeking to maximize their coverage under a variety of insurance policies. Reach her at jfarina@mccarter.com.